Fashion is fabulous! If you’re a fashionista, when it comes to getting dressed you might focus solely on your outfit. If you’re a true trendsetter, you’ll know that no matter how iconic your outfit might look, it’s never truly complete without the right accessories. It could range from your necklace to your bracelet, but today, we’re talking about earrings. You might find it hard to believe, but a pair of earrings can both enhance your look and give you a completely different look. While pearls and studs are great, they exude a simplicity we’re just not going for at the moment. We’re trying to add some edginess with a touch of chic! Here’s how a pair of earrings can make you stand out. Put your hair up and let your earrings hang! One popular trend among earrings is the statement piece. If you’re looking for your earrings to speak for you, these are the style to go for. In order for them to add spice to your look and bring it to life, go for an up-do or keep your hair away from your face. This will allow them to do the talking for you and nothing says more than Indian inspired earrings. Statement pieces like the ones featured on Red Dot Jewels are just the type to get you noticed. While tassel earrings are definitely trending, even their studs have a touch of spice you won’t get from a regular pair. Another style of earrings that can both add spice and transform your look is hoops. If you’re someone who frequents studs, even a small pair of hoops can make you look like a completely different person, but we say - the bigger the better! Street style has always played a big role in fashion and for the perfect look, a pair of hoops will definitely help you achieve it. In addition to the spice, it’ll give you a hip and trendy vibe. You might hear the phrase “less is more” often, but when you’re dealing with earrings, more can be more! One of fashion’s favourite trends right now is multiple earrings on one ear. If you listen to someone talking about their piercings, you might hear types like industrial, helix, conch, tragus, and more. Currently, you’ll find that the more piercings the better! A ton of extra piercings and earrings is one sure-fire way to add spice and edge to your look. Accessories are a fun way to change up your look and while a necklace and bracelet might be fun accent pieces, they won’t enhance your look as much as a pair of earrings would. The right pair of earrings can easily transform an outfit. 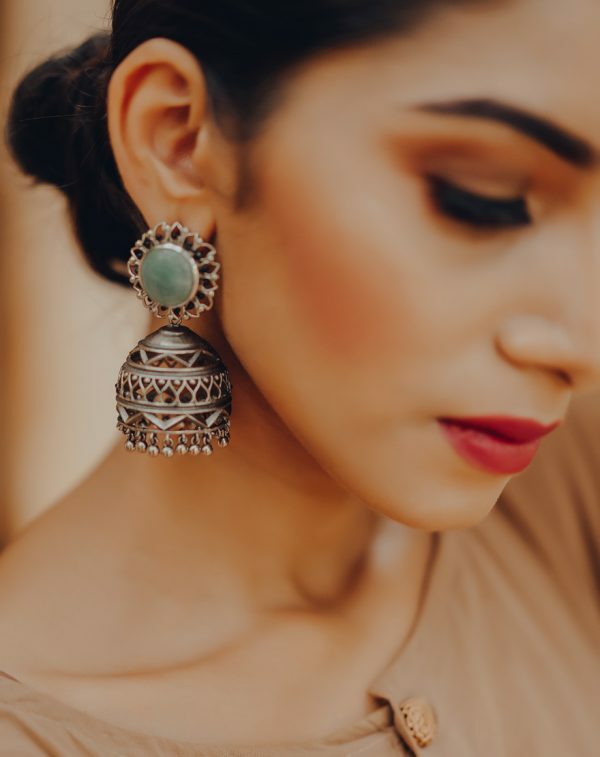 While you might choose a pair of studs for simplicity and elegance, if you’re hoping to spice up your look, you now have what the knowledge to get it! I agree with you, fashion accessories are just as important as the outfit, and, of course, jewellery is the most important of all. Love those earrings, they look fab. A great pair of earrings can really make a look. I'm quite boring with earrings, but maybe I need to be braver and accessorise more. Always good to experiment. You never know you may like a bolder pair of earrings. They look heavy, but they sure are amazing!